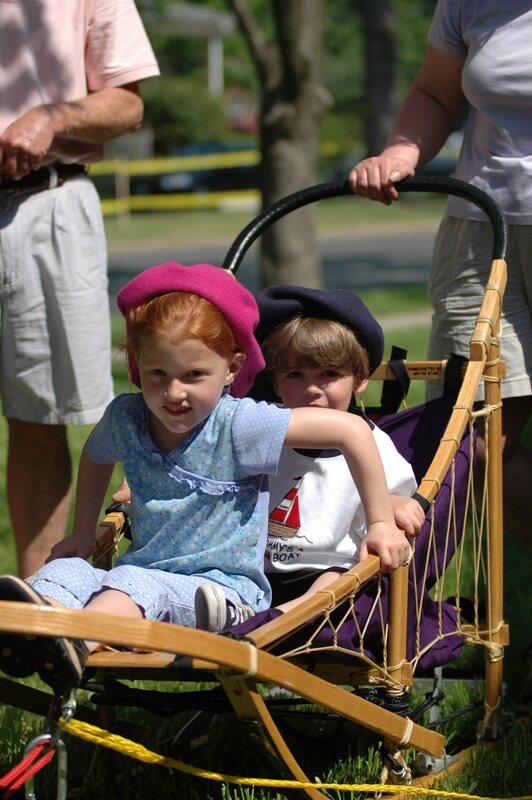 Some objects may be closer than they appear. One question that people occasionally ask is what do your dogs do during the offseason when they are not dog sledding? 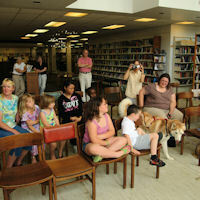 Generally, we try to have fun with the dogs and take them to a variety of places. 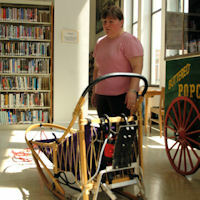 The running season is generally from about September through April, although it is weather dependent. 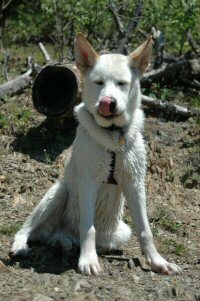 During the offseason, we try to spend a lot of time hiking with the dogs, camping, swimming, traveling, relaxing, and of course Okemo's favorite: picnics. 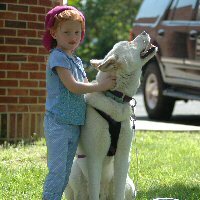 Festivals and Events - Places you can see Maryland Sled Dog Adventures! 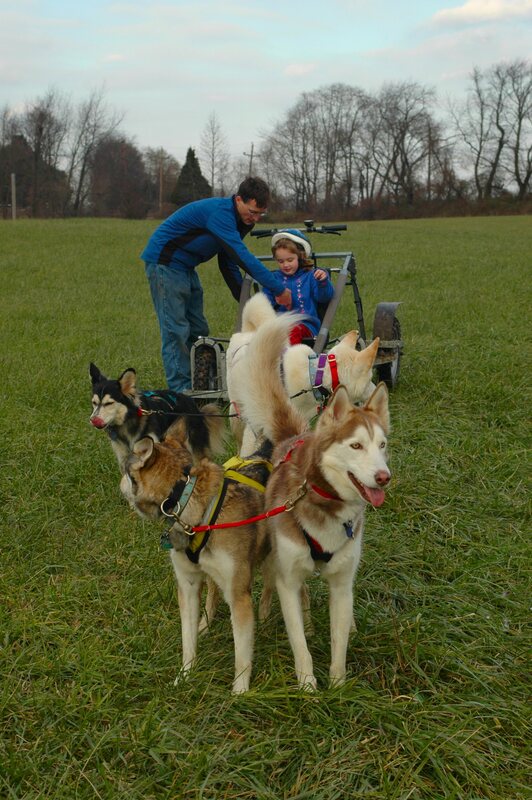 Maryland Sled Dog Adventures LLC provided educational programs on dog sledding, sled dogs, dryland dog sledding and other dog powered sports in connection with several local events including the Pennsylvania Sled Dog Club Fair Hill Challenge, Piney Run Apple Festival, the University of Delaware Ag Day, and other events. 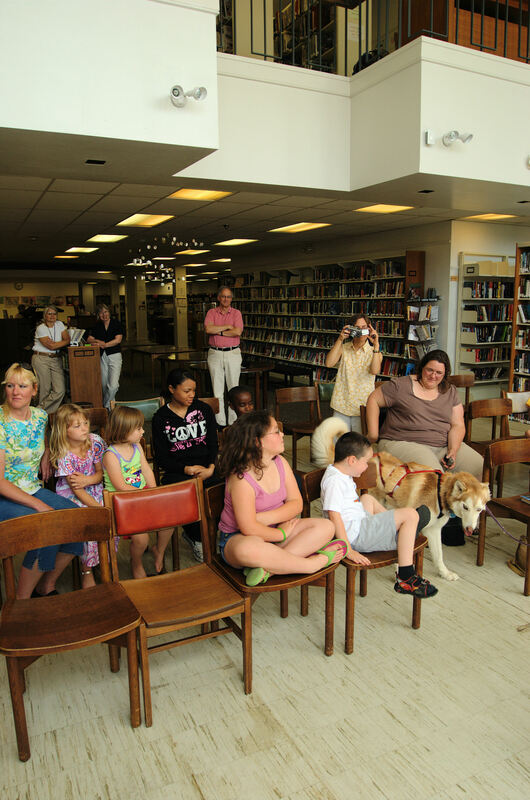 Catherine Benson and a few of the Maryland Sled Dog Adventures LLC team dogs travelled to the Martinsburg-Berkley Library in Martinsburg, WV. 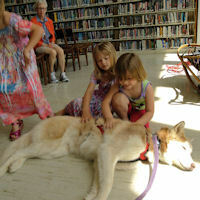 All ages were interested in learning more about dog sledding, dryland dog sledding, and sled dogs. 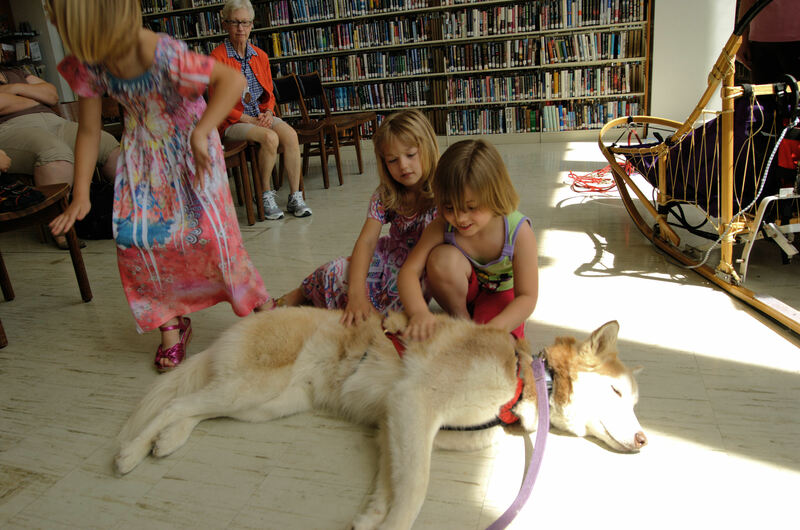 Sobo relaxes in a sunbeam while three young girls admire the occasionally hard working sled dog. 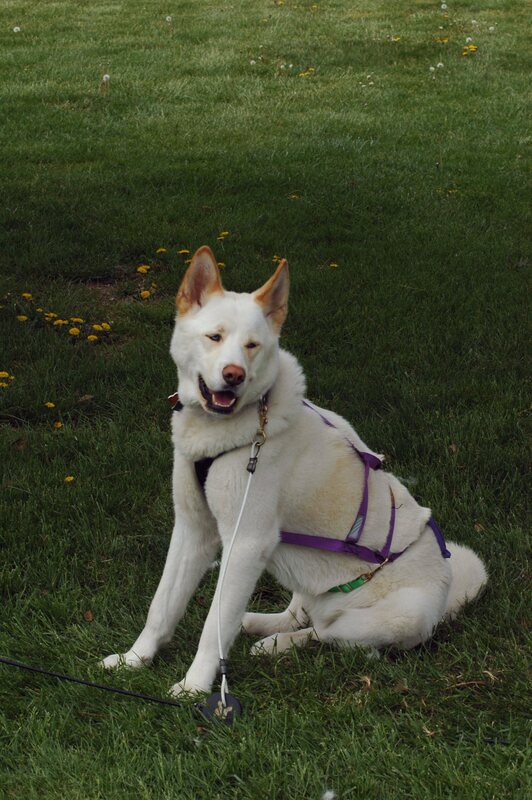 Sobo demonstrates the proper fit for an x-back harness. 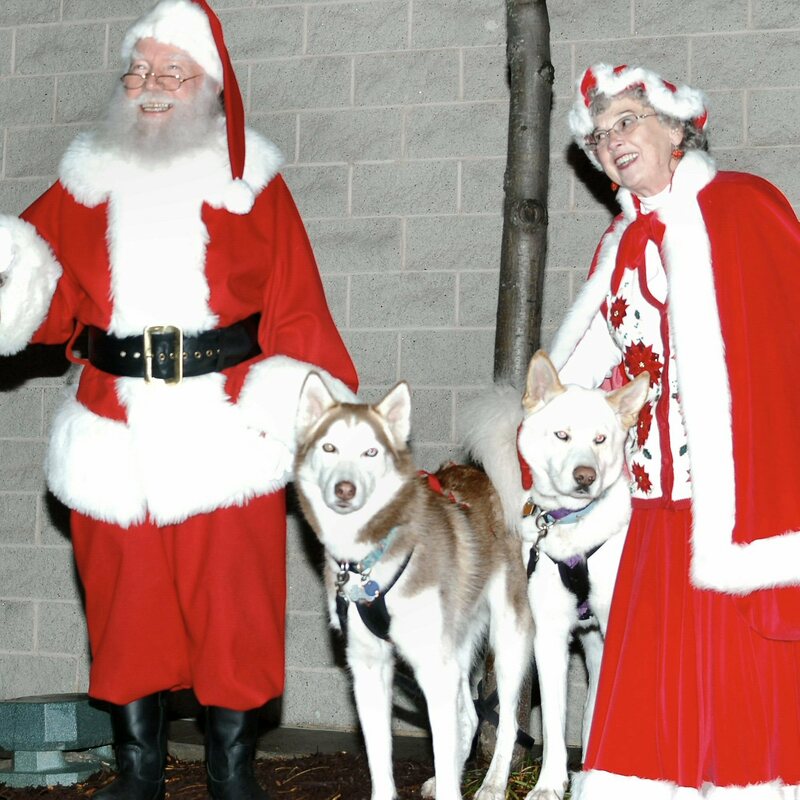 Mr. and Mrs. Santa Claus pose with two members of the trusty sled dog team before the team delivered them to the Avenue of White Marsh. 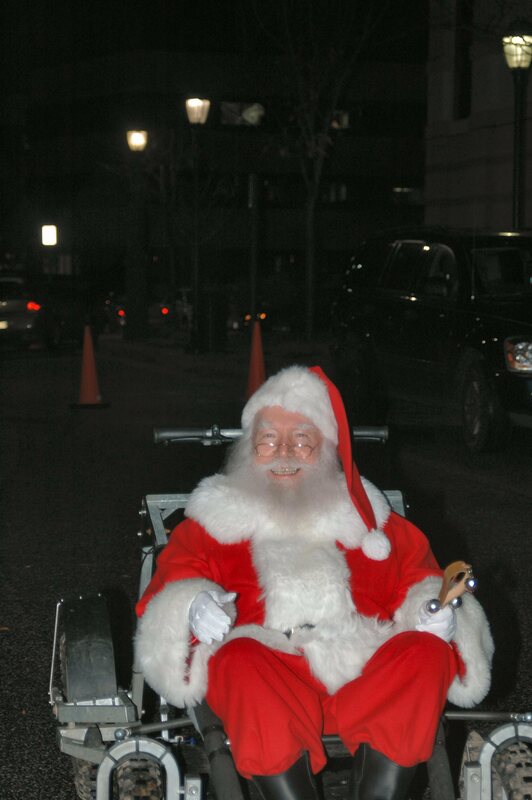 It's not often that Santa poses in your Fritz Dyck dog sled rig. 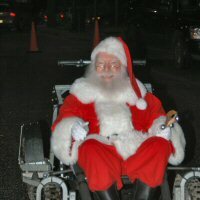 For more information, check out the Santa delivery entry in our blog. 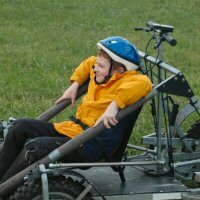 This young girl learned how to rub Okemo the right way. 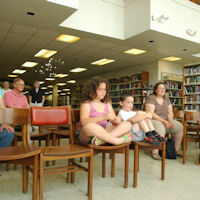 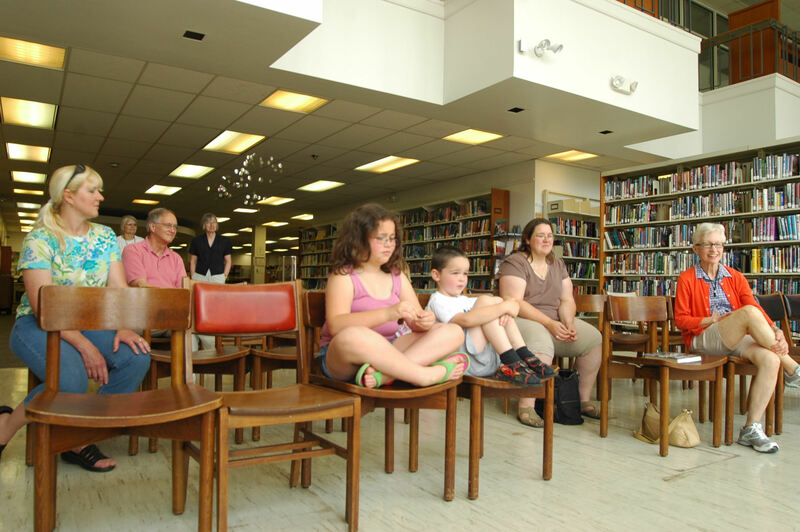 Additional pictures from the Duncan library are available at our Webshots gallery. 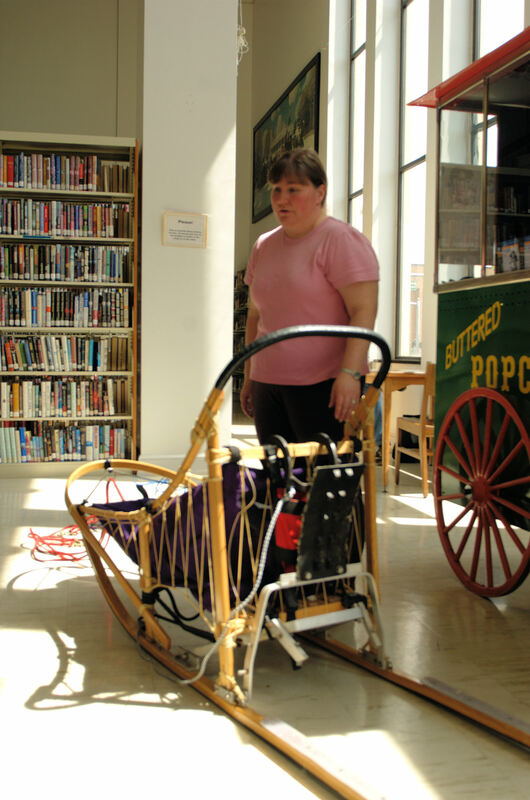 These two young children decided to try the snow sled at Alexandria's Duncan Library. 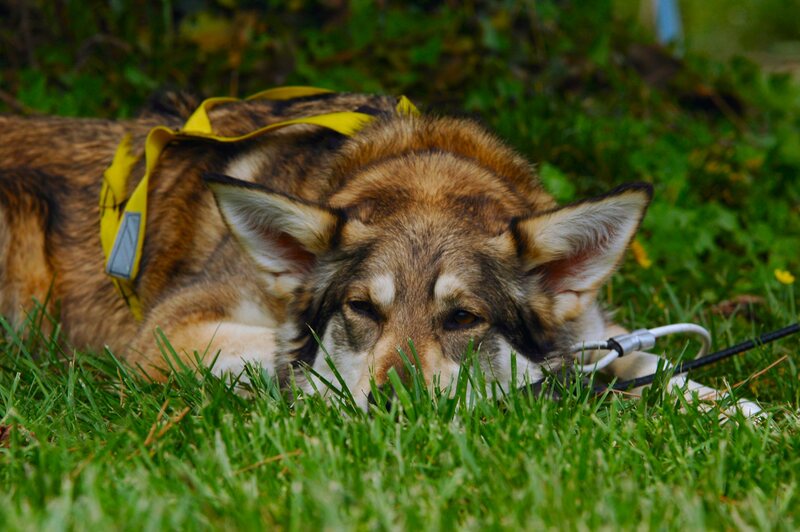 Zoë relaxes at the University of Delaware Ag Day, the last event of the season that Maryland Sled Dog Adventures LLC sled dog team gave rides. 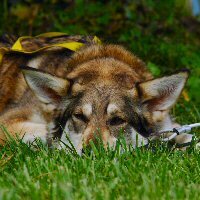 Okemo relaxes on the drop line. 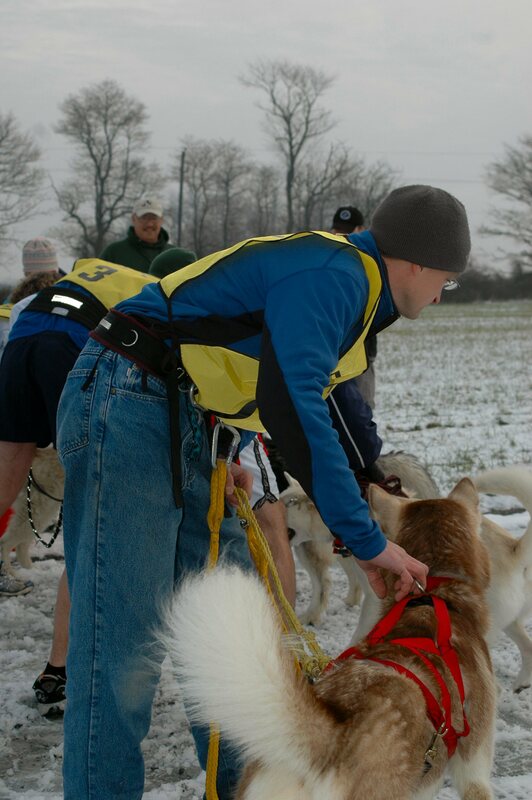 Maryland Sled Dog Adventures LLC doggy dad, Eric, gets ready to run with Sobo in the canicross class at the 2007 Fair Hill Dryland Challenge. 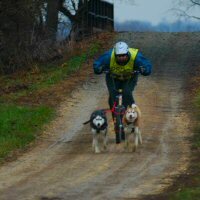 Eric and Sobo finished in third place in the canicross class at the Pennsylvania Sled Dog Club Fair Hill Dryland Challenge. 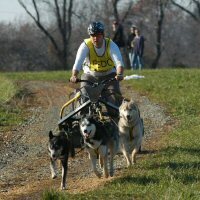 This competitor raced in the two dog scooter class at the Pennsylvania Sled Dog Club Fair Hill Dryland Challenge in North East, Maryland. 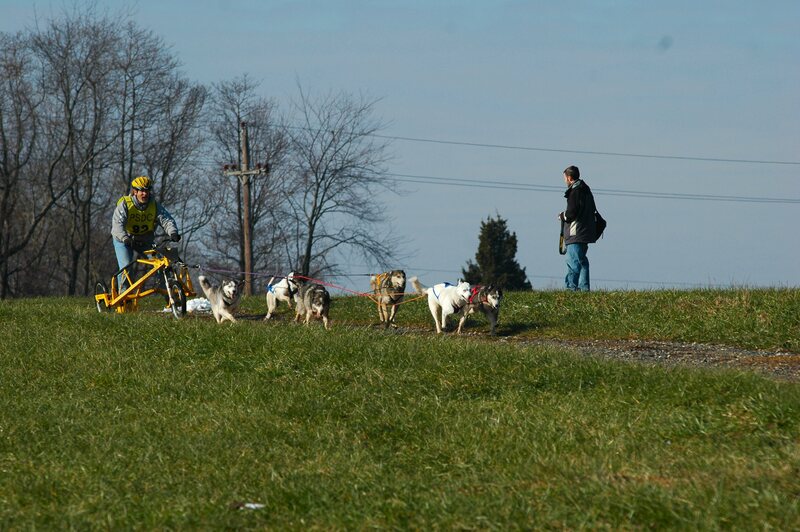 One of the most popular classes at the Fair Hill Dryland Challenge was the four dog rig class. 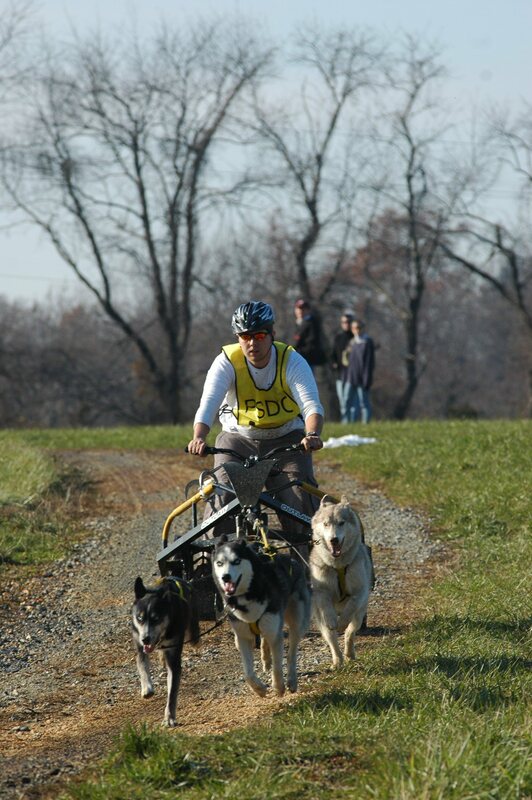 Mushers with teams of up to six dogs raced on a muddy Fair Hill course in north eastern Maryland. 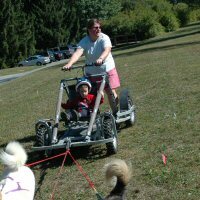 Maryland Sled Dog Adventures LLC staff help buckle a child into the rig for a dryland dog sled ride after the Fair Hill Dryland Challenge. 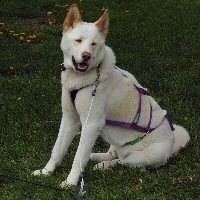 Someone looks ready to go for their dryland dog sled ride! 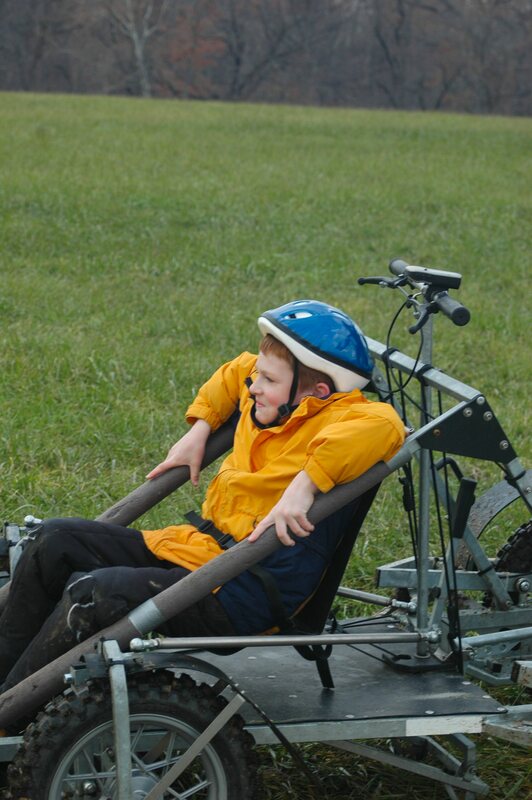 A young rider experiences dryland dog sledding as part of the Pennsylvania Sled Dog Club's 2007 Fair Hill Dryland Challenge. 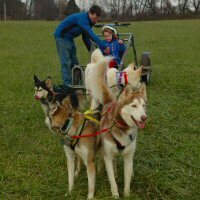 The two person dryland dog sledding rig has room for a passenger up front while the musher stands behind and controls the team. 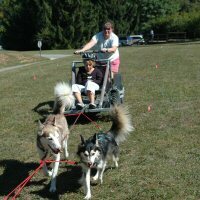 The Maryland Sled Dog Adventures LLC team snow dogs showed their power and endurance providing dryland dog sled rides all day. 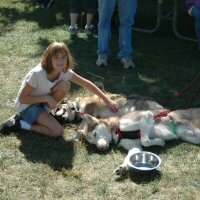 The Maryland Sled Dog Adventures LLC team was able to get plenty of belly rubs at the Piney Run Apple Fest. 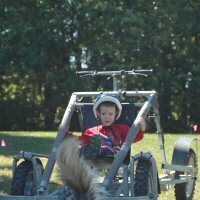 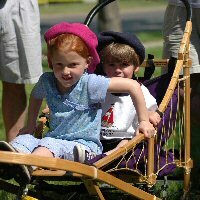 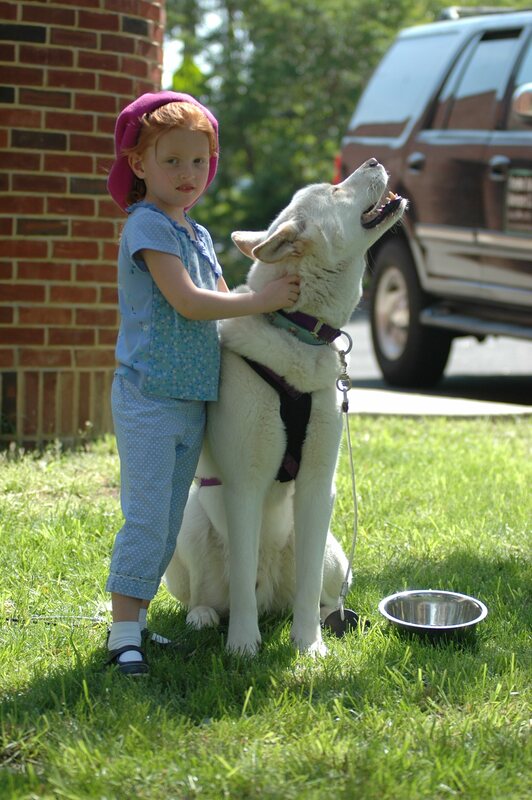 In many of Maryland Sled Dog Adventures LLC's programs, children get to ride or mush their own team.